Gregorio Escalante is pleased to present original new works with celebrated artist, animator, writer, and director Jorge R. Gutierrez. Border Bang is a passionate love letter to the Tijuana and US border, documenting the bootleg artifacts sold to locals and tourists alike. Reappropriating the bombardment of pop culture images is the border’s reaction to global issues and events, telling viewers and consumers not to glorify these situations but rather to acknowledge them through their subversive presentation. 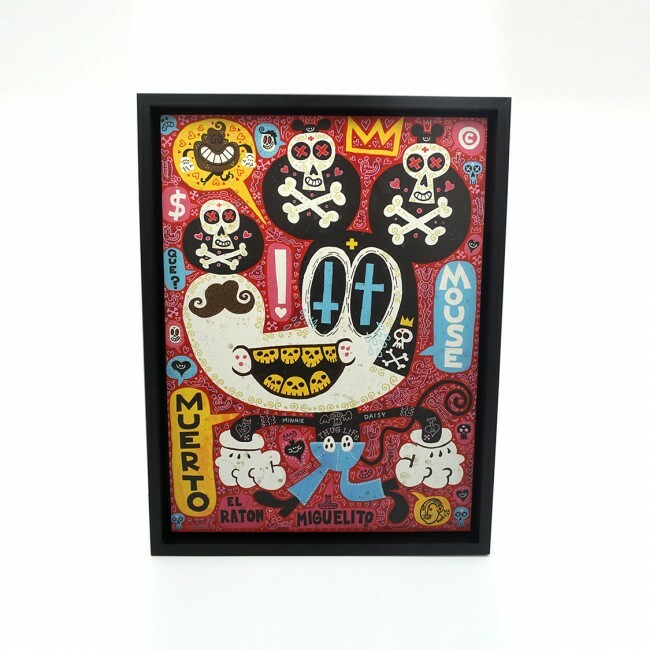 Gregorio Escalante Gallery will also be offering a limited edition silkscreen print made specially for Border Bang available at the gallery on July 9th. On Sunday, July 10 at 3:00pm, Gregorio Escalante Gallery will be hosting an artist talk with Jorge R. Gutierrez. Neighboring Good Luck Gallery will host an artist talk at 1:00pm, and there will be a curator’s talk at Coagula Curatorial at 2:00pm, so plan on having an afternoon in Chinatown!